The first image, of the backside of the phone, was featured on Vietnamese tech website reviewdao.vn. Since I don't speak Vietnamese, we'll have to defer to Google Translate, but it sounds like a lot of the predictions about the S7/S7 Edge were correct, at least according to this source. The handset will reportedly be water-resistant (earlier reports suggest up to a depth of 1 meter), it appears that the "camera hump" has indeed been removed, and the U.S. version will have Qualcomm's Snapdragon 820 chip and 4 GB RAM. The battery life is not known, but it sounds like the Galaxy S7/S7 Edge will have a quick charger that can charge your phone from 0-80% in 30 minutes. It's unclear whether this comes bundled with the phone, or if you have to buy it separately. According to the Review Dao report, the S7/S7 Edge will be released in Vietnam on March 3rd. For what it's worth, the Galaxy S6 was released in the U.S. on April 10 last year, with the Vietnamese release coming a day later on April 11. 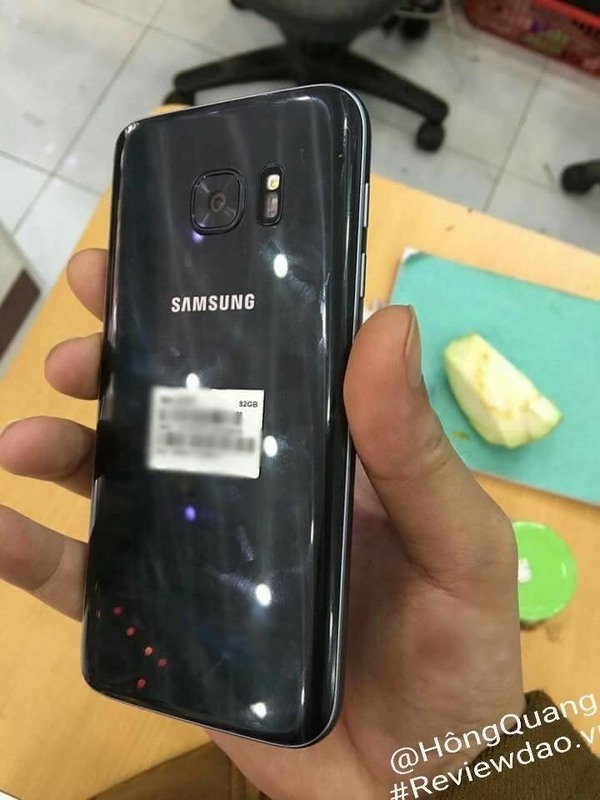 The second image shows the display of (presumably, given the display) the Galaxy S7 Edge, and comes from Weibo user JKwan. 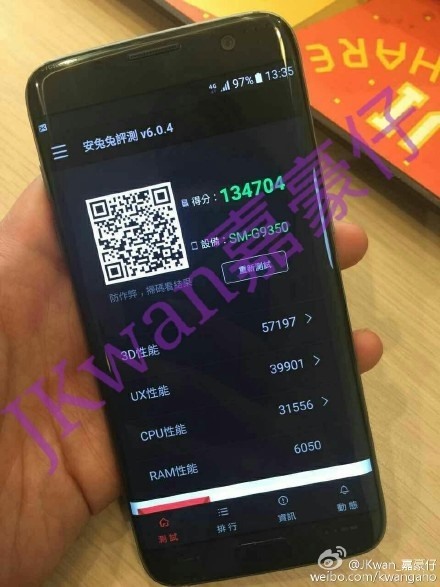 The picture shows the phone with a score of 134,704 on the Antutu benchmark test, which is nearly double what the Galaxy S6 scored last year. This sounds great, but we should probably put down the shaker and look for a mine, because that's about how much salt we'll need to take this with. There's plenty of reason to think the Galaxy S7/S7 Edge will perform better than the S6, but this seems a little too good to be true, especially considering benchmark tests can be cheated quite easily. So, what do you think? Do you like the way the Galaxy S7 looks? Hate it? Indifferent? Let us know in the comments, or drop us a line on Android Hacks' Facebook or Twitter, or on Gadget Hacks' Facebook, Google+, or Twitter.